JD Hall wrote a blog post entitled “No More Discernment. Seriously.” In it he shared that he is tired. Tired of what? For one thing he’s “tired of seeing the flock of God ripped apart lamb by lamb and limb by limb and be left in a bloody pile of wool for their pastors to find on Sunday morning.” As I read his graphic description I thought to myself, “Gee, I wish I had said that.” Oh wait! I have. 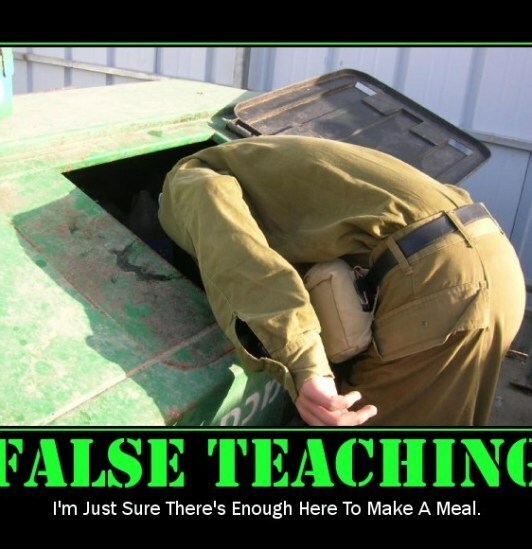 For close to twenty years I’ve reported on, among other things, false teaching in the Church. I’ve detailed how apostates wormed their way in via magical mystical practices such as contemplative prayer…lectio divina…prayer circles…yoga. Likewise, New Age/New Thought, the cults, the occult and even far-left political ideology (cultural Marxism). Amy, my partner at Berean Research, has been involved in discernment work for over six years. Are we tired? You betcha! Will we throw in the towel? Nope. We’ll continue sounding the alarm as long as the Lord allows. Discernment is not for the feint of heart, as you will see in JD’s piece. I urge you to read it in its entirety. And then pray for those of us in ODM — that’s shorthand for “online discernment ministry” a term coined by Emergent Church leaders “and once it’s been slapped upon a given website, it then becomes one of the new lepers,” said the late Ken Silva who was a pioneer in online apologetics and discernment work. I’m tired of discernment. I’m tired of polemics. I’m tired of watching the other guys who produce material for Pulpit & Pen report on yet another obvious departure from orthodoxy. I’m tired of seeing the articles and news stories and screenshots and tweets and YouTube videos posted in the infamous Pulpit Bunker. The president of the SBC is joining Kenneth Copeland at a conference in which their faces are plastered on the advertisement and the slogan is “United As One”? Barf. Seriously, make me gag already. Beth Moore has teamed up with TBN and Lifeway is footing the bill? The three-hundred-and-ninety-second evangelical leader has called the Pope a “brother in Christ” this year? I need a nun to glare at. I’m tired. I’m tried of seeing it. I’m tired of hearing it. I just want to crawl into the church basement and see how long I can live off of unleavened bread and grape juice and forget the world I’m living in is not only heading downhill at breakneck speed (to quote Spurgeon), but the bobsled has been greased by Michael Brown’s anointing oil and is traveling faster than the preacher’s kid during an altar call. Let me just put on a Tim Hawkins album and curl up in my Hagee prayer shawl and forget this mess exists. If you think you’re tired of reading about it, imagine how we feel writing about it. Another snake handling service? Beth Moore heard God’s voice again? Todd Bentley raised some more dead bodies? Russell Moore is talking about a partnership with Montel Williams to tackle the unjust criminal system (seriously, that one came across our wires just today). Michael Haykin has Karen Swallow Prior come to the Andrew Fuller Center because “she wouldn’t be a research fellow for Russell Moore or work at Liberty University if she was all that bad.” In the mean time, there’s another cultist preaching at Liberty’s convo? Seriously? No, I mean another one. No, another one. Hey, I have an idea. Let’s see if we can get even more people to hate Pulpit & Pen. No, really. I haven’t had enough death threats this week. I only locked the door twice before I went to bed last night. Obviously, we do this for the popularity. There’s a whole baby-boom of parents naming their kids after me. So let’s expose that famous megachurch pastor with a cult following and see if we can get invited to any more parties than usual. That’s how it works, right? I mean, clearly we do this for the money, even though the only way this could make me rich is if I had a dollar for every time someone called me a “Pharisee” or a “hater.” I’m just waiting for Southwestern Baptist Theological Seminary to put me in stained glass next to Rick Warren. In all seriousness, I met fifty or sixty pulpiteers (listeners to the program or readers of the blog) at Shepherd’s Conference. Folks would come up and say, “I’m a big fan of the website” or “I love your program” and shake my hand or get a picture with me. The next thing the majority of them asked was, “What’s it like being so hated?” Seriously. It’s phenomenal. I live for this. If only I could be characterized as the Grinch who stole Christmas and got gall stones my life would be complete. And if you believe that, I have an expository sermon manuscript from Andy Stanley I’ll sell you. A Southern Baptist website went down for half a day yesterday and they alleged we did it. I kid you not. Because among other life skills, I am a computer hacker. In truth, the only real violation of their privacy or property is that I apparently live in their head rent free. There are twitter warriors who’ve been in one-party spitting matches with us (we are not that one party) for years. I lost track of the anonymous accounts that troll us. Heck, they made one for wife, who might just be the nicest and most innocent person on the planet. There’s probably a @JDHallsDog by now, in which they tweet about how I make him sleep in the cold and don’t take him to the vet. I can’t say “boo” in the Bunker without screenshots being provided to a certain survivor blogger who turns it into a dramatic blog post about how I hate women and kittens (half true), and how she blogs in one hand and holds onto her broom in the other hand I’ll never know (I kid, I kid). You get the point.